About The Difference What is it? 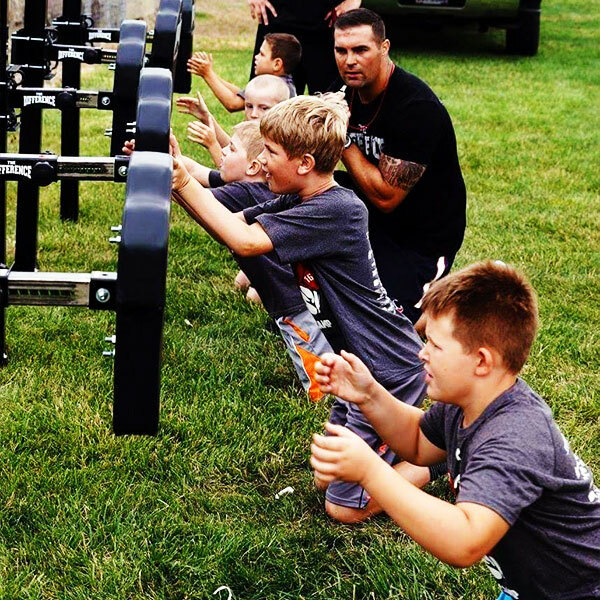 When looking at today’s football players, regardless of age, weight or type of football program, consistent and powerful hand placement/striking techniques are key to maximizing the athlete’s potential. 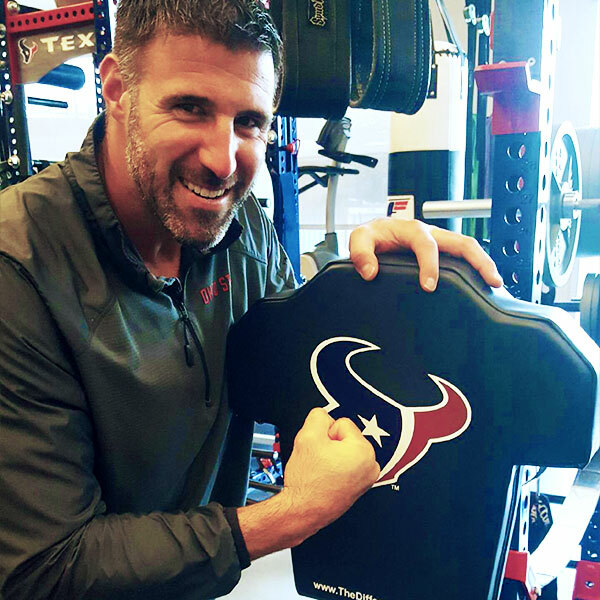 However, there is no specific athletic training equipment that is not only specialized, but cost effective, to allow athletes to hone their hand placement/striking techniques. 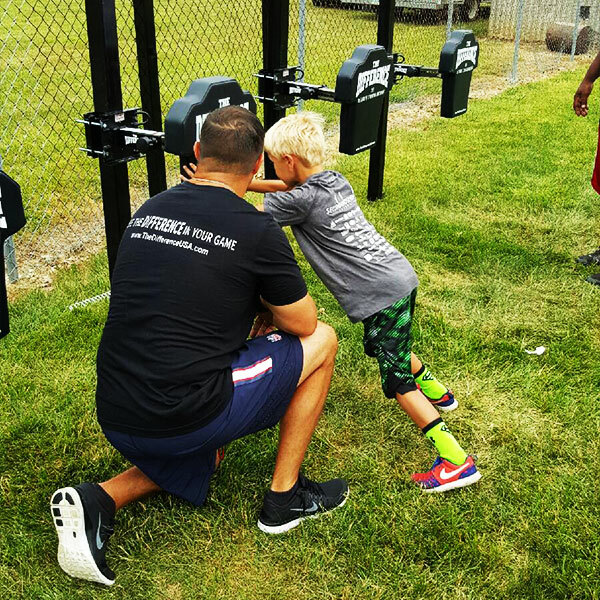 Even for young athletes, there is no equipment designed specifically to be used to build proper hand placement/striking techniques, which is critical to more advanced play in high school and even college. 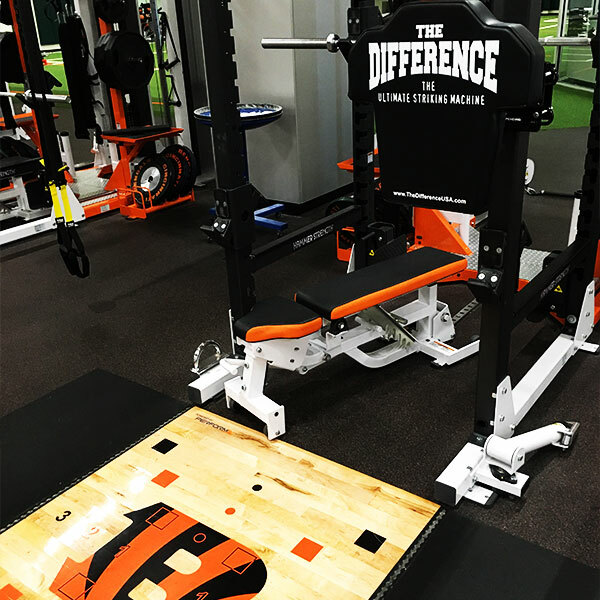 The Difference is a portable hand placement/striking machine able to be used by athletes of all ages and sports to optimize their athletic performance. 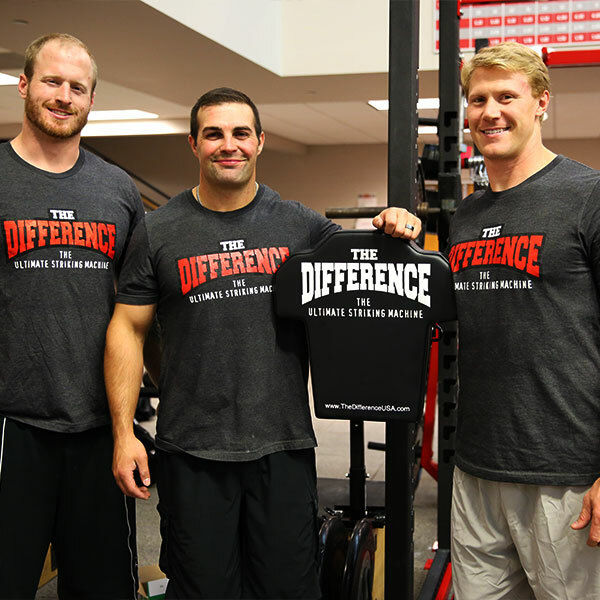 Developed in the weight room of Ohio State Football, The Difference can be utilized all year with a variety of physiological benefits. Designed with flexibility in mind, The Difference is able to adapt to most square, rectangle, and round structures. Custom attachments available for a variety of weight racks. The Difference Striking Machine is small, light and portable with a variety of attachment options. Use in the gym and on the field. 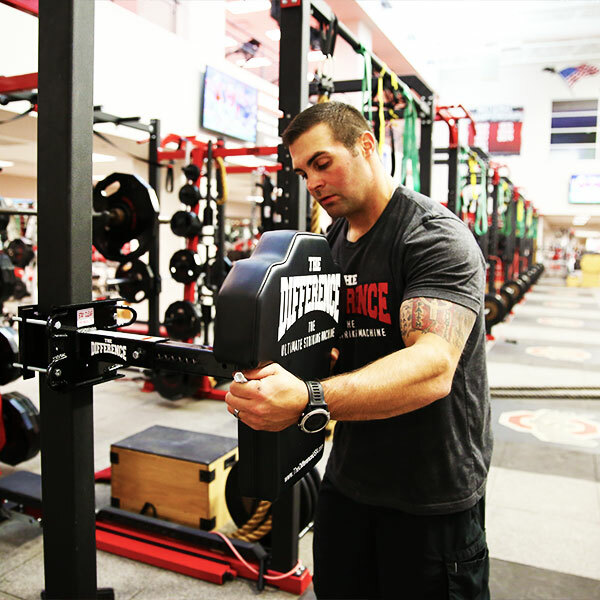 Our engineers designed the striking machine to receive thousands of strikes by elite athletes. 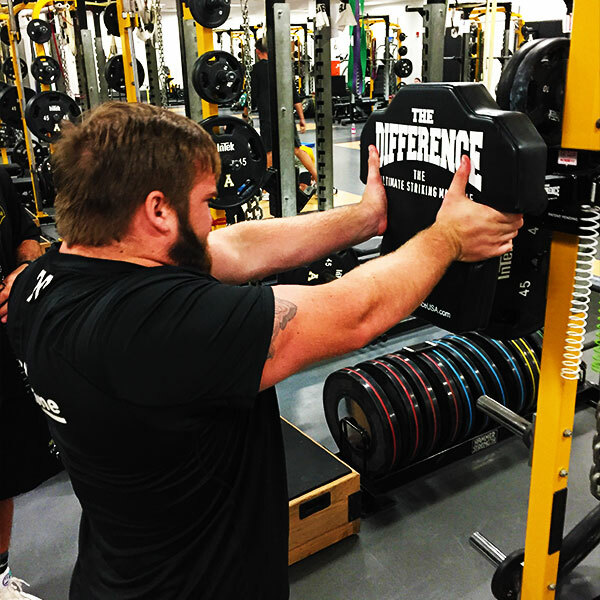 With a variety of training applications, The Difference will help all athletes maximize their genetic potential. THE DIFFERENCE is the only training machine that allows me to work on fast and explosive hand striking. 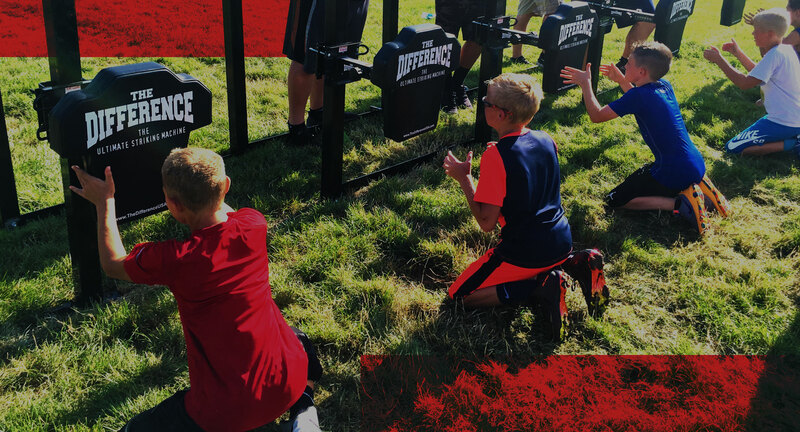 Not only has The Difference given us a tool to rep hand striking and proper muscle memory, but it has significantly decreased our upper body injuries. 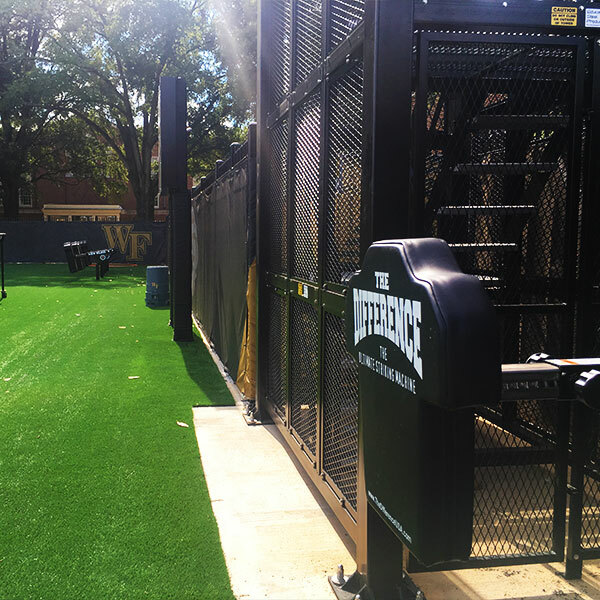 Being able to steal technique reps in the weight room has also given our players the ability to protect their heads and necks on the football field. The athletes love them. So do the coaches. 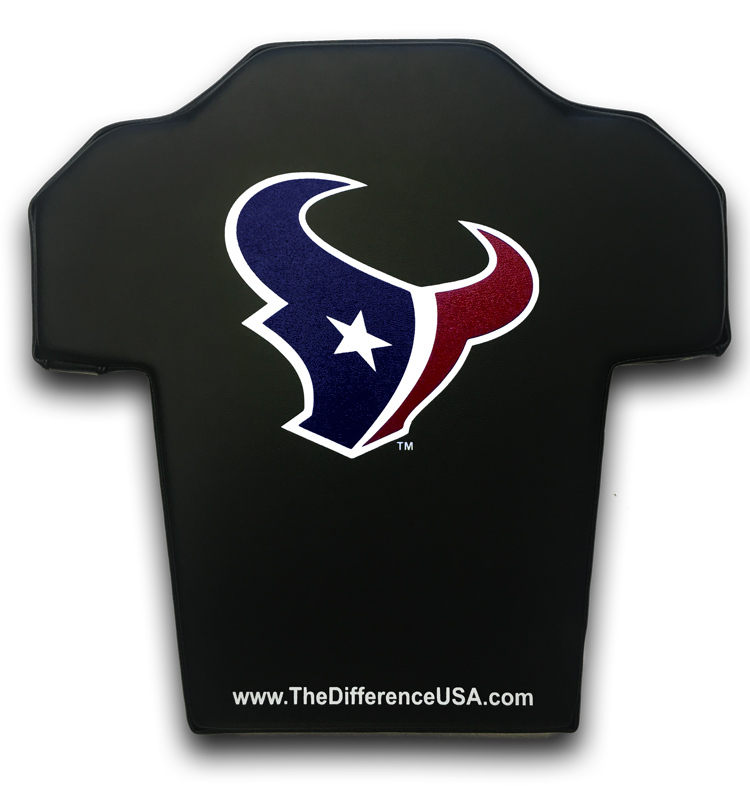 THE DIFFERENCE is a great product and it is being used daily by my son and some of his teammates. It is teaching them inside hand placement and explosion. This should be very helpful for them on both offense and defense.